Generic, licensed software packages come with many features that your business don’t necessarily need. A lot of time is wasted on trying to navigate around prompts for action that is not related to your business. And trying to work between two software programmes because neither offers exactly what you need can be just as frustrating and time-consuming. When your software gets in the way of what should be easy, straightforward business operations, it is time to consider custom software solutions. It might cost you more than generic software packages but it will be tailored to fit your business processes and developed to grow with your business over time. Netgen is a software development company with offices in both Johannesburg and Cape Town. This team of experts are committed to developing a user-friendly, cost-effective software solution that can perform actions specific to your business. You can have all the features you need and none that you don’t. The team will work with you to combine the knowledge of your business with their expertise in software development to make sure you have the best software programme you need to save you and your employees time in the daily business processes. But having a custom software solution won’t mean anything if it can’t be adjusted in an ever-changing technology scene. 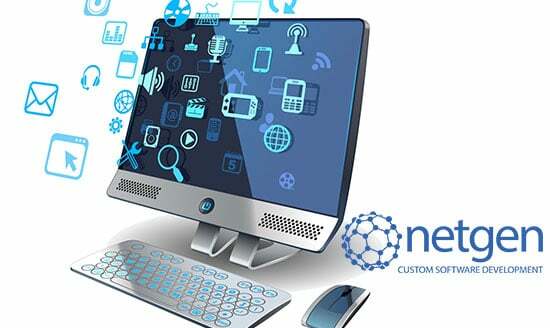 You can rest assured that with every custom software solution offered by Netgen, comes the opportunity to add features and functionalities as your business needs change. Over the last 18 years, Netgen has grown to become market leaders in software development and other web solutions in South Africa. It comes as no surprise since you’ll have to search far and wide to find a reputable software and web developer that will go the extra mile to keep their clients satisfied. Don’t get left behind with software packages that waste your time when you can have custom software programmes designed by experts. Call Netgen for an obligation free quote today. Previous PostBank on 4 essential web solutions under one roof at Netgen. Next PostHow can a mobile app help to grow your business?